Here you can see a squad arriving at the home of a computer criminal and arresting him as he makes a dash for it. He is clutching a computer cassette that contains details of his computer crimes, and the police will need this as evidence to prove that he is guilty. 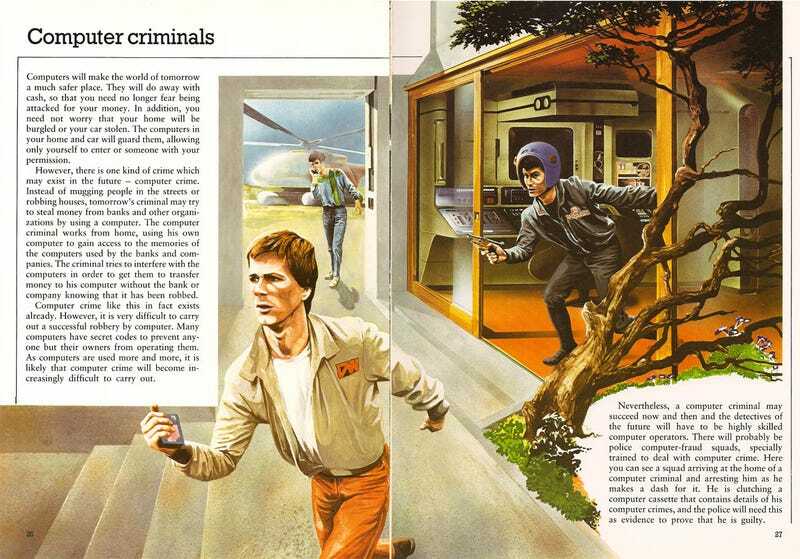 — kids' book from 1981 illustrating computer crime of the future.